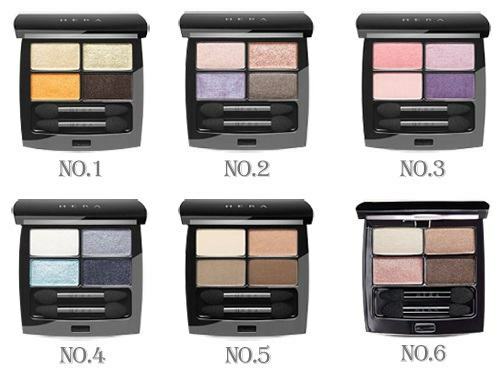 The Shadow Holic 4D from HERA is a Korean makeup product that is consists of 6 colors of small eye shadow palette that has pigmented, vibrant and beautiful colors that will surely suit and vivify your eyes. Each palette has 4 eye shadows that are all high quality and long lasting, and has a soft and smooth texture that easily glides onto the eyes. It is made of a mineral powder base that enables the eye shadow to have the brightest and pigmented color when applied to the eyes, in just one swatch it will give a high quality color and a long lasting power. Using the applicator provided, apply the eye shadow gently to the eyes. The Squeeze Mascara is one of the great makeup product from HERA and it is known for giving the las..
Sparkle up your eyes and make it more vibrant with the Shadow Duo from HERA. It is a small palette ..